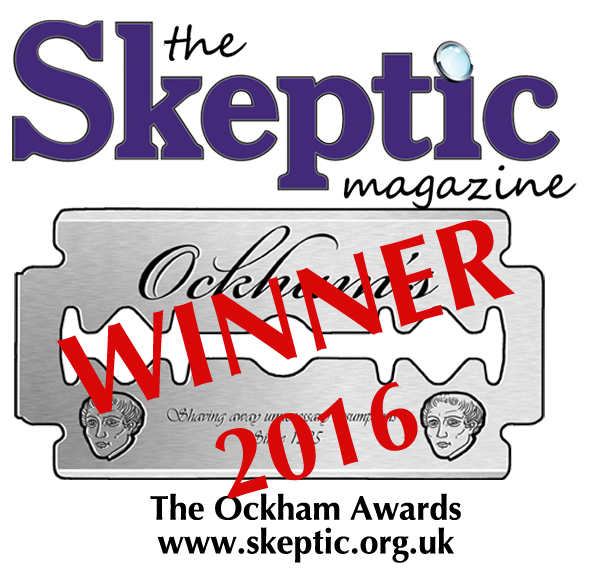 In March 2014, Good Thinking was contacted by Mark Tilbrook – a skeptical activist who had been planning to hand out leaflets to people on their way to attend a range of psychic shows. 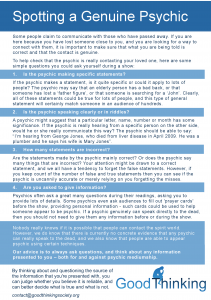 Mark had designed and printed a clear and easy-to-understand leaflet, outlining some important points that people might want to consider when attending a psychic stage show. Mark began by handing out his leaflets at three shows by Sally Morgan, the UK’s most popular psychic, who runs the biggest stage psychic tour in the UK. On each of the three occasions, Mark was approached by members of Sally’s team attempting to intimidate Mark with verbally and physically threatening behaviour, including a number of homophobic comments. The second and third times this happened, Mark took steps to record his experience, to demonstrate the opposition he faced while politely exercising his right to free speech – footage of which can be seen below, via Boing Boing. Shortly after these incidents, Mark was contacted by Sally’s legal team threatening to bring proceedings against him for libel and for harassment due to his presence outside three of her shows. After months of firm correspondence from Sally’s lawyers, the claims appear to have been dropped. During this period, Mark received valuable support from Robert Dougans and Serena Cooke at Bryan Cave. We believe it is important that everybody is free to offer fair criticism and comment without the threat of undue legal action and verbal/physical intimidation. This is essential in order to help determine what is true and what is not. Hence, we organised Psychic Awareness Month. 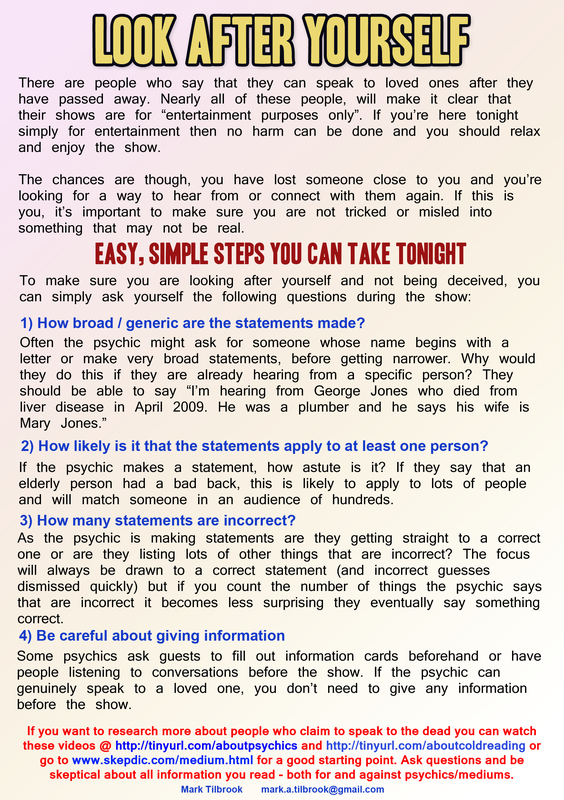 Throughout October, we worked with skeptical groups around the country to have Mark’s leaflet handed out at psychic shows as he intended, including shows by Sally Morgan, Colin Fry, Tony Stockwell and Derek Acorah. The right to offer fair criticism and comment, is a hard-fought freedom, and one we feel should be exercised.